Simon Gray asked me to direct Butley in 1970. I found its savage, lacerating wit hard to beat and accepted the invitation… The extraordinary thing about Butley, it still seems to me, is that the play gives us a character who hurls himself towards the destruction while living, in the fever of his intellectual hell, with a vitality and brilliance known to few of us. He courts death by remaining ruthlessly – even dementedly – alive. 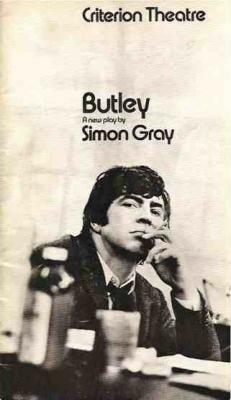 It’s a remarkable creation…..
Butley, the central character of Simon Gray’s brittle and brilliant play…could well join that distinguished gallery of human debris represented by Willie Loman, Jimmy Porter and Bill Maitland in post-war drama… What is so wondrous about a play so basically defeatist and hurtful is its ability to be funny. The stark, unsentimental approach to the homosexual relationship, the cynical send-up of academic life, the skeptical view of the teacher-pupil associations are all stunningly illuminated by continuous explosions of sardonic, needling, feline, vituperative and civilised lines. Butley is a play about a university lecturer, Ben Butley, who shares his office and his flat with a former star pupil, Joey, now also a lecturer. On the day when the play takes place Butley faces both the ultimate breakdown of his marriage and of his intense friendship with Joey. Butley’s painful discoveries are made against a background of petty university politics and unease about student dissent. He greets them with a blistering torrent of repartee and rhetoric. Butley was first presented by Michael order xanax no prescription Codron on 14th July 1971 at the Criterion Theatre, London. It won the 1971 Evening Standard Award for Best Play. Duchess Theatre, London, 31 May – 27 August 2011, following a run at the Theatre Royal, Brighton, from 25-28 May. 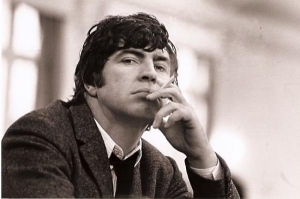 The play was subsequently made into a film starring Alan Bates and directed by Harold Pinter. Butley was published as a Faber Contemporary Classic in Simon Gray: Plays 1 on July 7th 2010. To order a copy on special offer at 25% discount please contact Faber and use code GRAYPLAYS. Or check out the Plays section of our bookshop. For UK and Worldwide performance rights please contact Judy Daish Associates at rozzy@judydaish.com. For English-speaking amateur rights, apply to Samuel French Ltd at www.samuelfrench-london.co.uk. For amateur rights in the USA and Canada, apply to Samuel French Inc at www.samuelfrench.com.